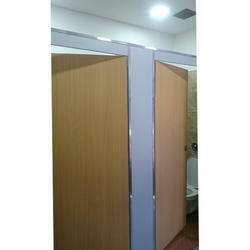 We are a leading Manufacturer of hpl cubicles and bathroom laminate partitions from Gurgaon, India. 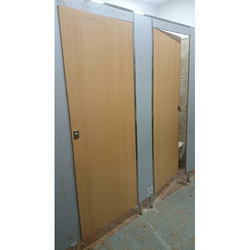 With firm commitment to quality, we are engaged in offering exceptional quality Bathroom Laminate Partitions. This provided laminate partition is made under the stern guidance of our experts in accordance with industry quality norms. In order to determine its quality, a team of quality checkers duly tests this laminate partition in different parameters such as material strength and long life to provide premium quality output to our clients. Following are the features of our product. 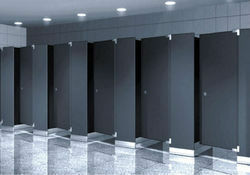 We are offering Bathroom Laminate Partitions to our clients.